So, there’s this awesome organization called HawkWatch International. 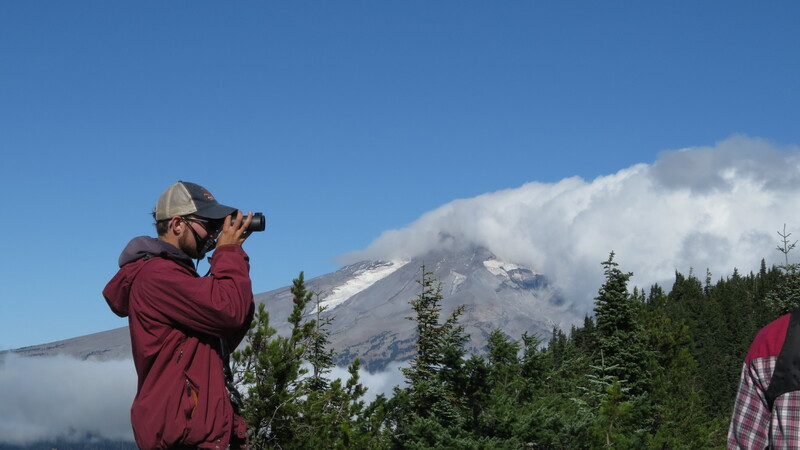 Their study site in Oregon is at this awesome place called Bonney Butte. There are several HWI monitoring sites across the American west and one in Vera Cruz, Mexico. They’re all open to the public, and visitation is encouraged (!). 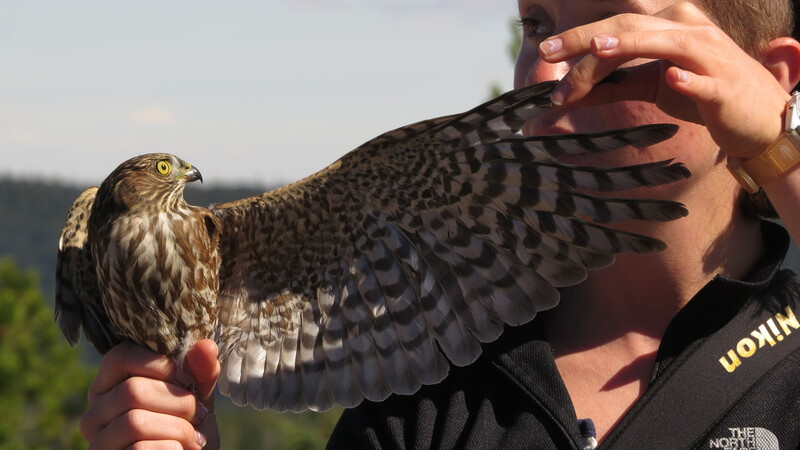 The sites are set up along optimal raptor migration paths where topography centralizes air thermals or “wind highways” the birds use to sustain energy while covering long distances during migration. Less flapping, more soaring. 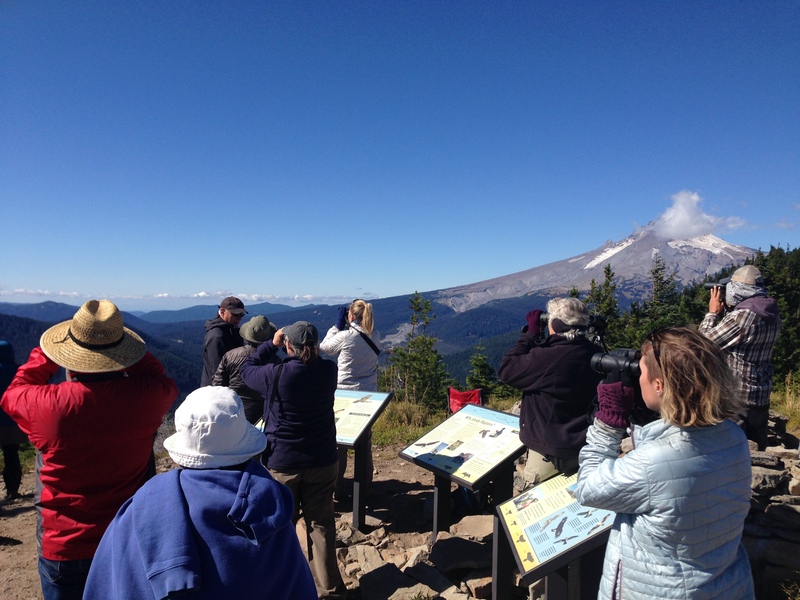 A relatively smaller number of birds migrate over Bonney Butte, (2,500-4,500/yr vs. 4 million/yr in Vera Cruz), but it’s still apparently the best hawk-watching location in Oregon in the fall (open Aug 28-Oct 31). 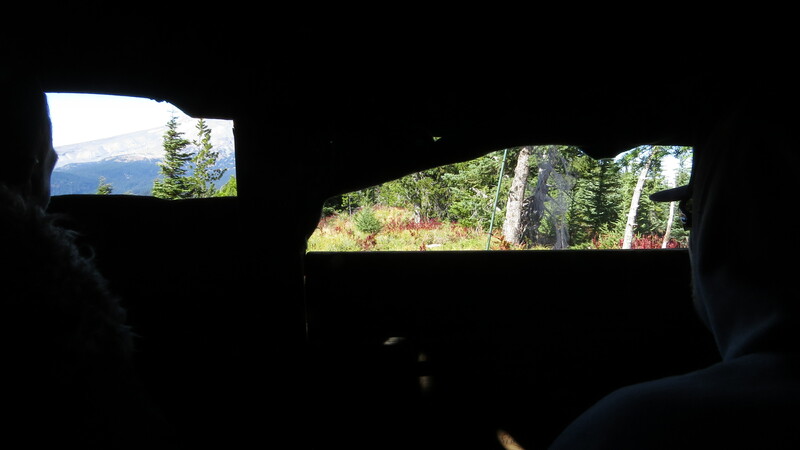 The last four miles of forest service road up to the butte is not in the best shape, think 4 miles = 40 min of slow, rocky dips and bumps (still worth it!!). 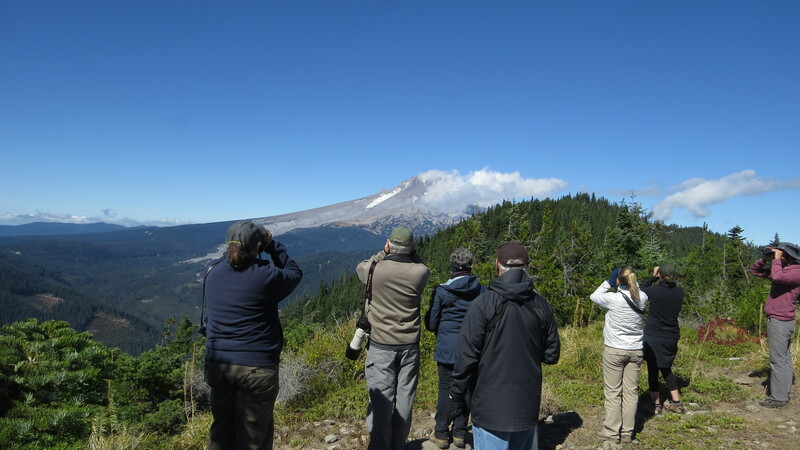 I was happy to go as part of Audubon’s Raptor Identification & Migration class. 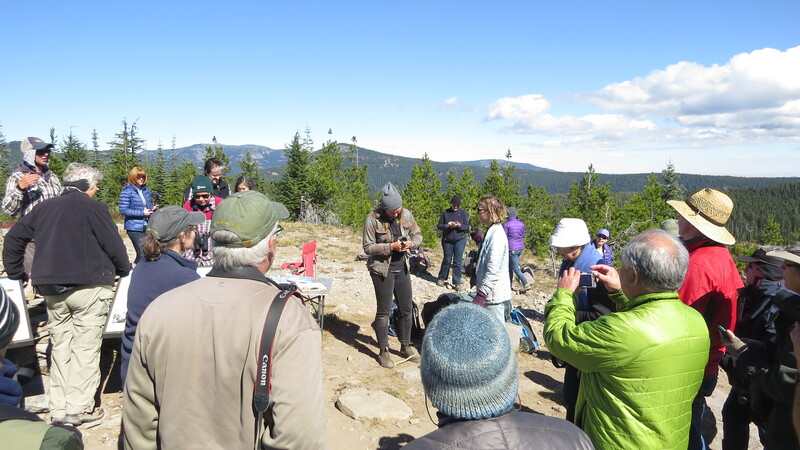 The class was led by birder extraordinaire and artist, Shawneen Finnegan and Dave Irons, another exceptional birder. We were in good hands. 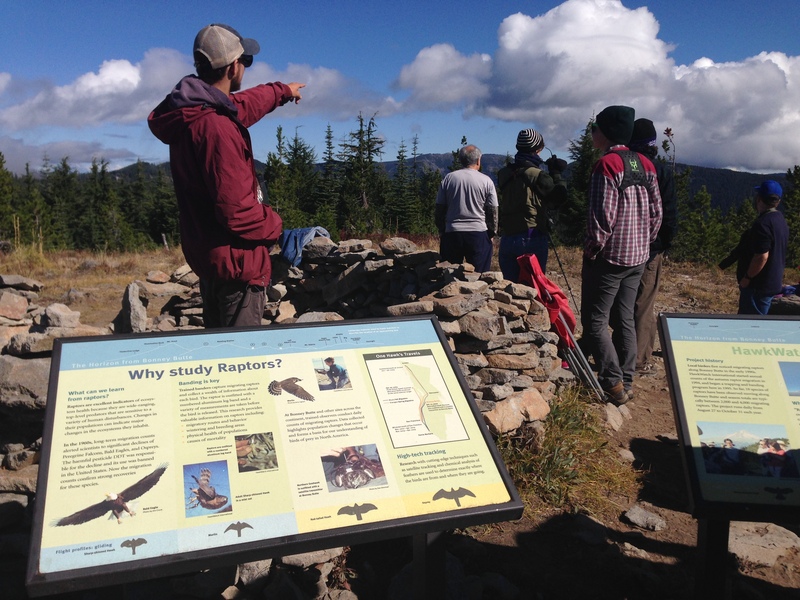 We arrived, hiked up the short, but steep distance to the top of the butte, and got to work looking for hawks. 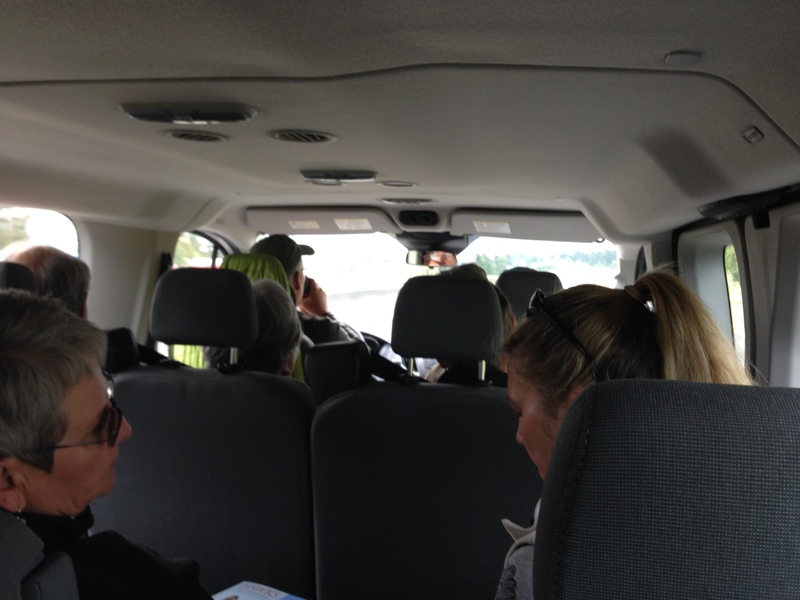 Eventually, we saw a some. They fly over so fast, I only managed a handful of photos. Not pictured: the numerous Sharp-shinned Hawks that whizzed by, the Cooper’s Hawk, Bald Eagle, Merlin, and Red-tailed Hawks. 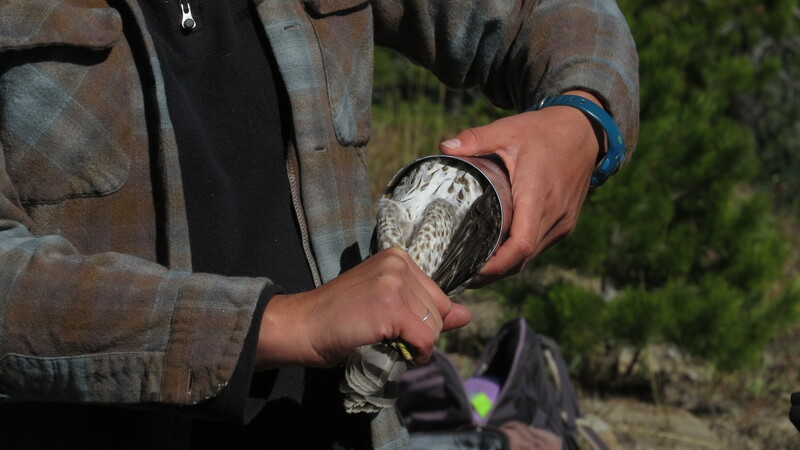 The highlight by far, was witnessing the trapping, banding, and release process. 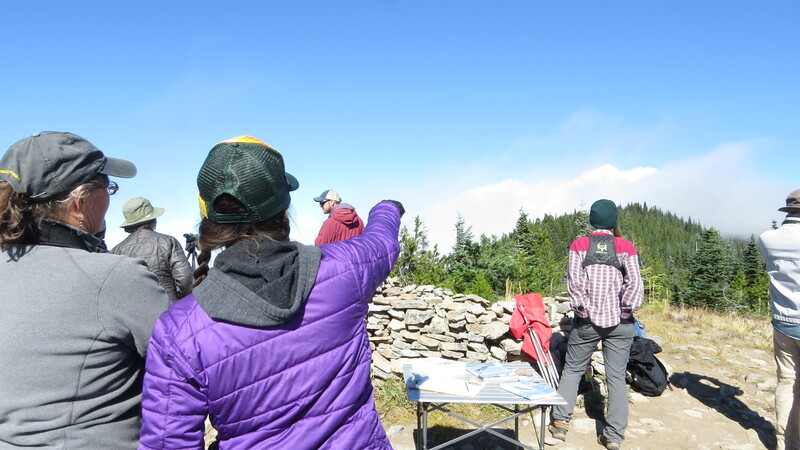 The HWI team traps the birds, then weighs, measures, and bands them, before finally releasing them back on their way south. 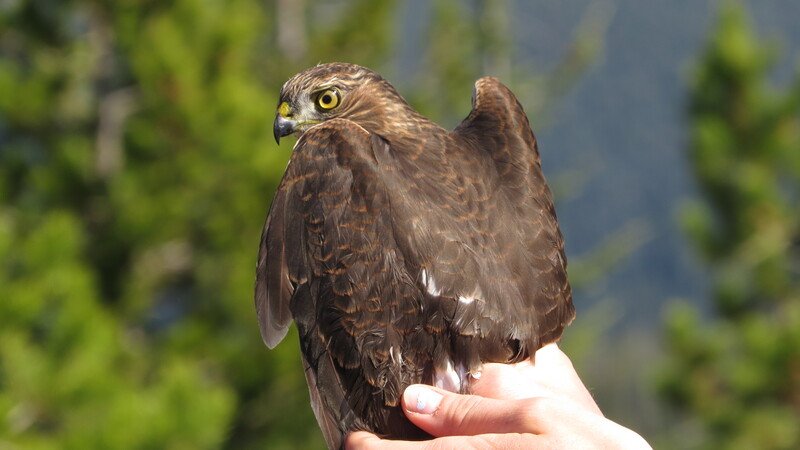 The above bird is a hatch year male Cooper’s Hawk. 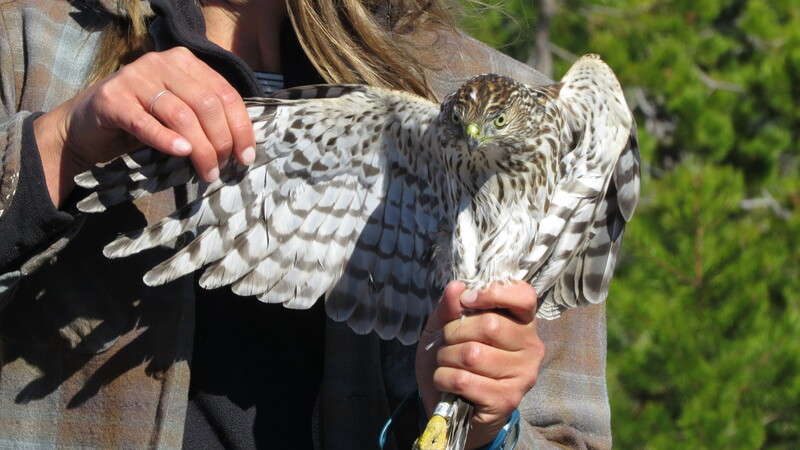 During our visit, they also banded an adult Cooper’s Hawk (below). 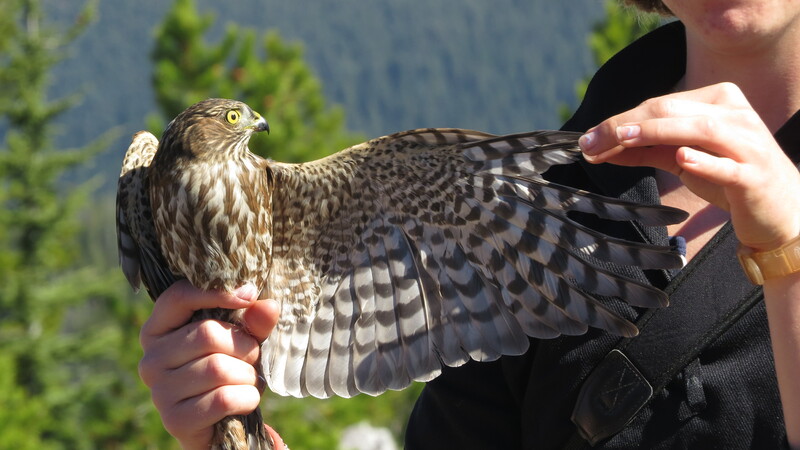 And a hatch-year female Sharp-shinned Hawk. So damn beautiful and inspiring. 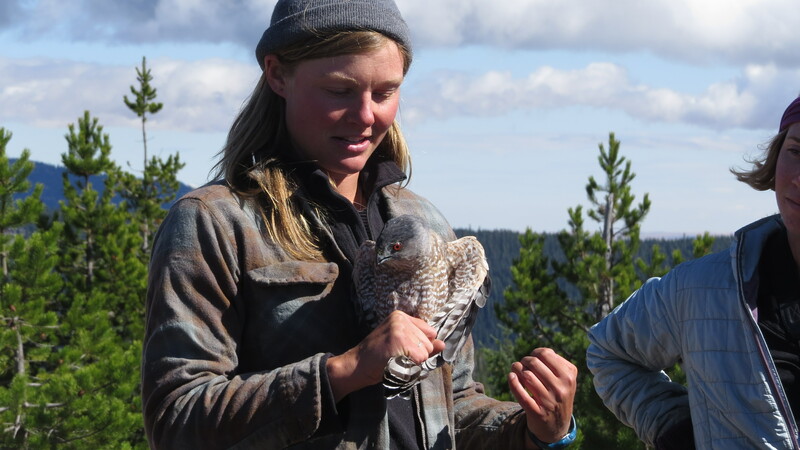 Did I mention Hawkwatch International is awesome? Here’s a video that explains more about their great work. Here’s my short video of the sharp-shinned release. 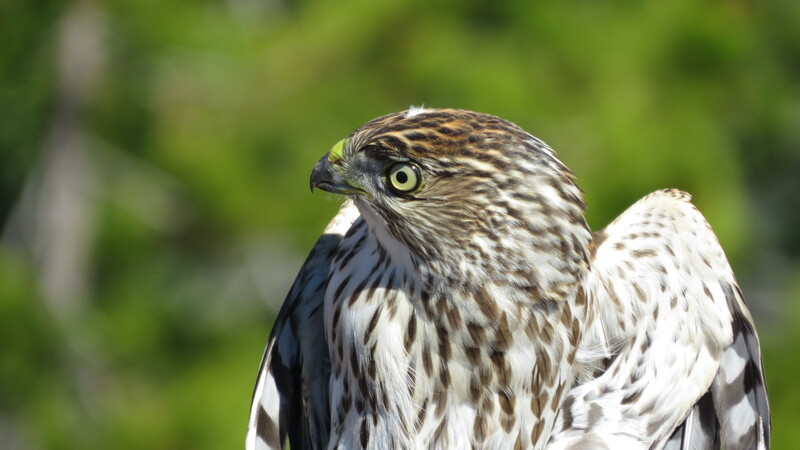 This entry was posted in Birding Trips, Fun Bird Facts, Why Bird and tagged Bald Eagle, Cooper's Hawk, Merlin, Osprey, Peregrine Falcon, Red-tailed Hawk, Sharp-shinned Hawk, Turkey Vulture by audge29. Bookmark the permalink. Well, damn….another year goes by that I didn’t make it up there. I’ve been, but not in about five years. It really is outrageously cool. Given the relatively small numbers at BB it would be fun to visit the Goshutes in NV or Hawk Ridge in MN for some big big numbers. Or Vera Cruz! Someday….